Six years ago, I worked at Macy’s. It was the year between college and grad school, I got hired at Christmas and I ended up working there a few months. It was one of the best jobs I ever had because the focus wasn’t on the tedious work, folding sweaters or cleaning up the aisles. 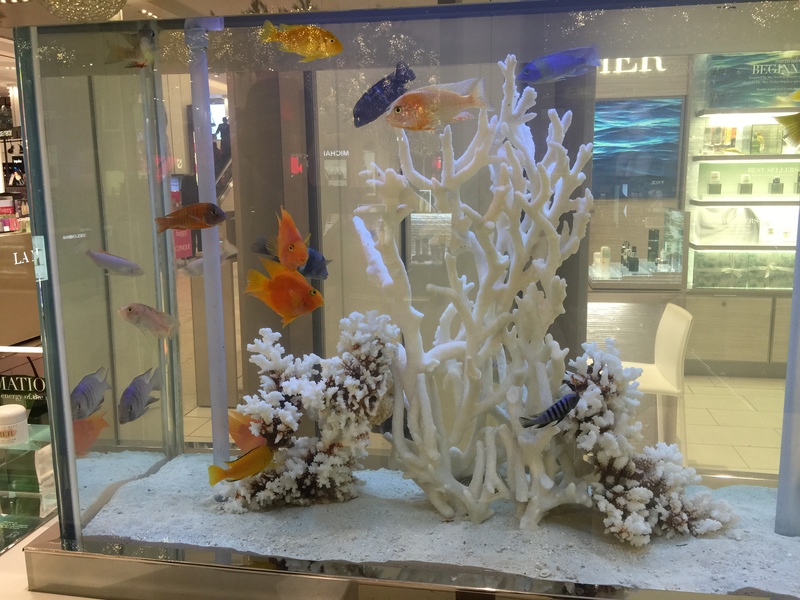 Rather, the focus was on enriching the experience that the customers have when they come in to the store. So when I go to Macy’s now as a customer, I like talking to the employees, chatting them up, listening to their stories. And I know they don’t mind – they’re getting paid to talk to me. 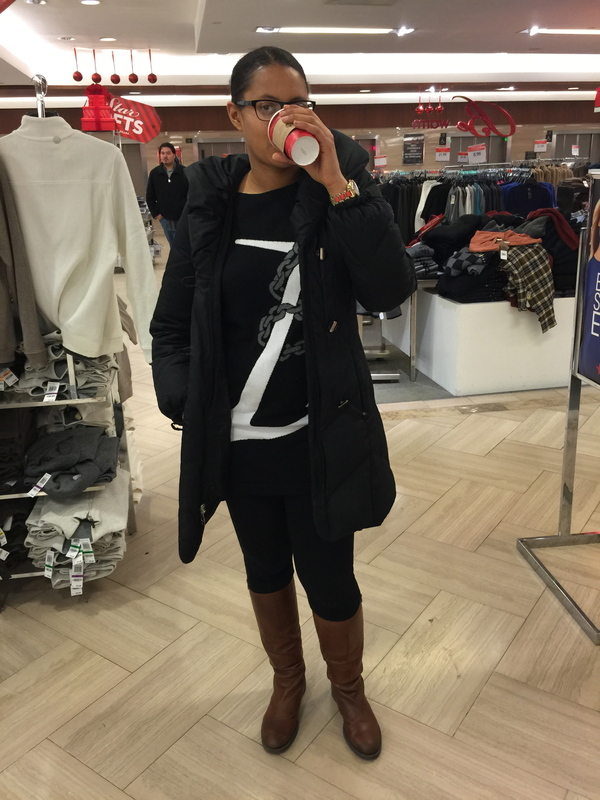 Last night, I went Christmas shopping at Macy’s at midnight – it wouldn’t be Christmas without some Macy’s shopping. For the past few years, I’ve been going at midnight, since the store is open 24 hours every day until Christmas Eve. The traffic is lighter, the employees are more relaxed and there is more opportunity to just enjoy the experience. 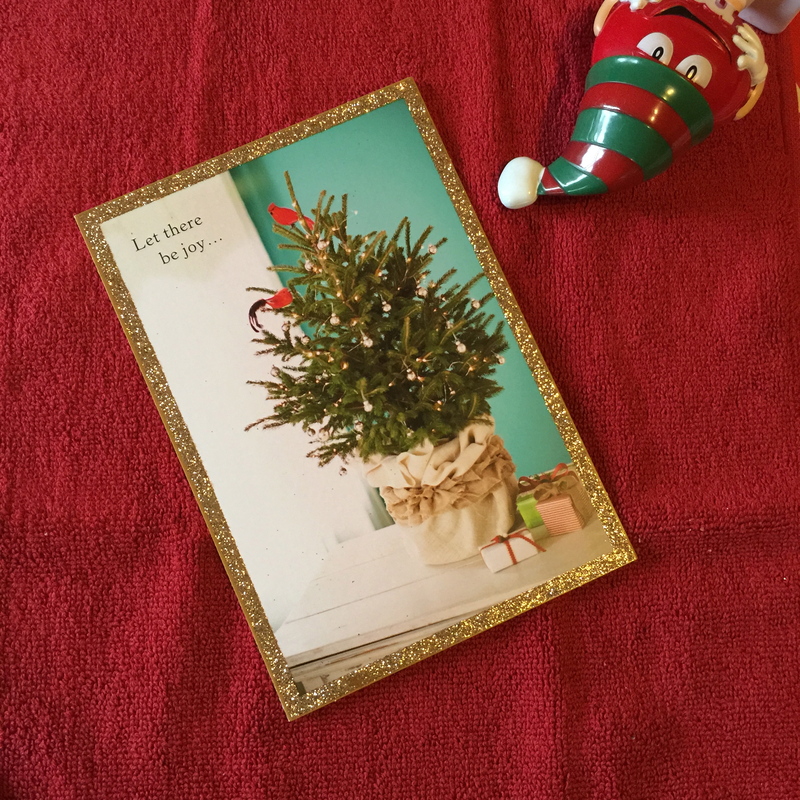 But before all that went down, I thought of a few more people I wanted to send holiday cards to. 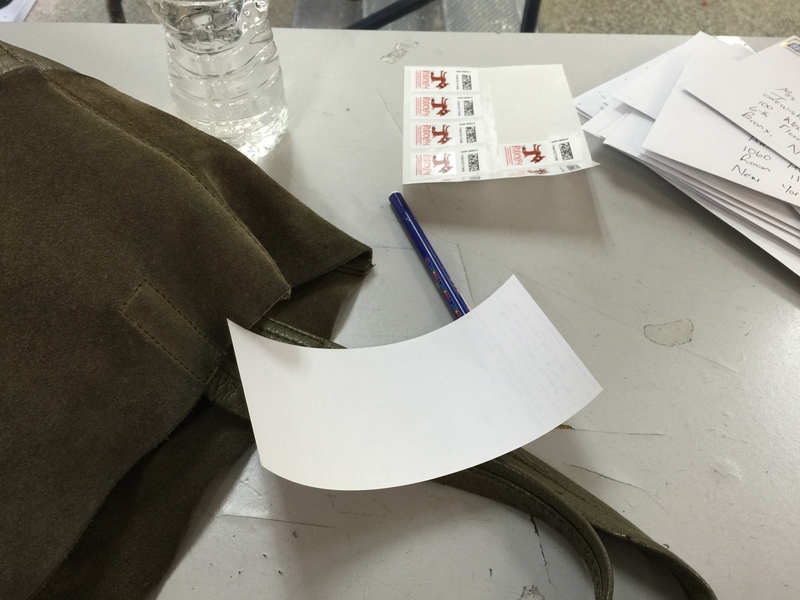 I went to the post office to mail the last minute holiday cards and I spent a few minutes worrying that they wouldn’t make it in time. But I went to the self-service kiosk to print the stamps and immediately stopped worrying. 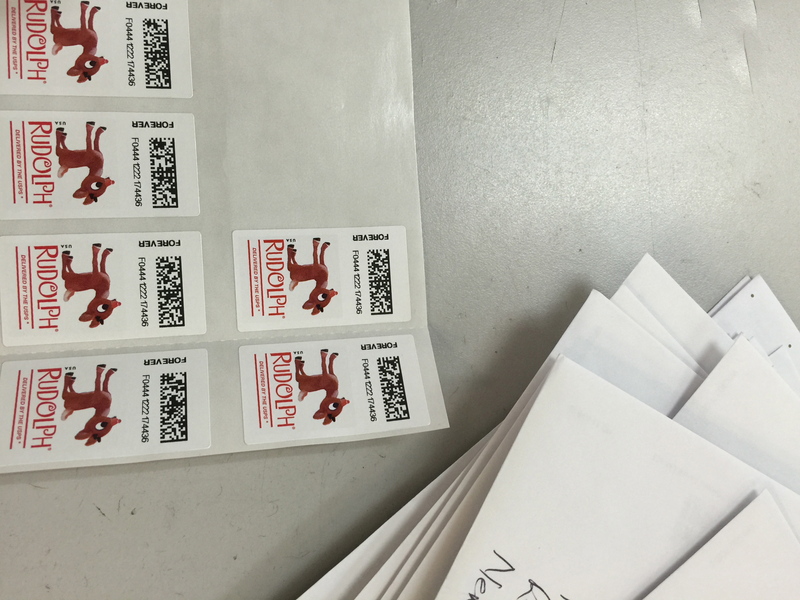 The stamps have Rudolph on them and he can fly all around the world in a night so a few cards in Manhattan and The Bronx should be no problem! 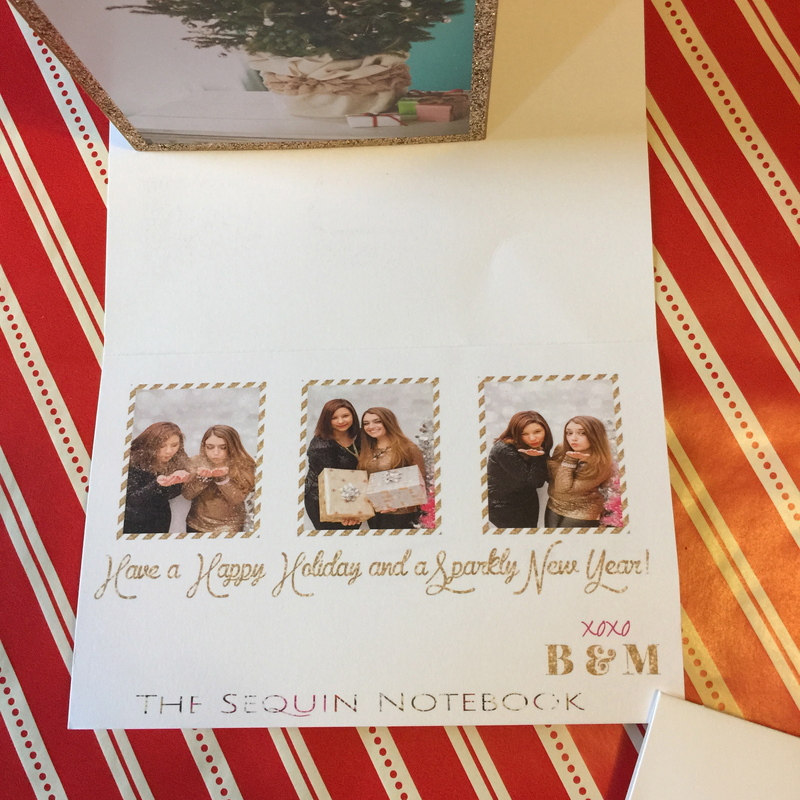 I participated in a holiday card swap, organized by The Sequin Notebook. I was matched up with Julie from Florida. This photo is from when I mailed her card a couple weeks ago. 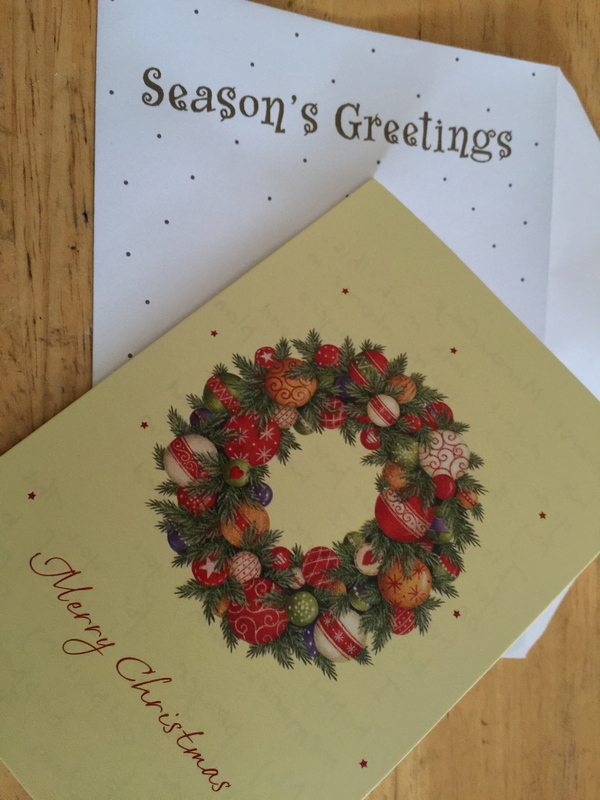 Julie sent me this beautiful, glittery card. I loved it and I made a new friend at the holidays. That’s the best part! Also, the beautiful ladies at The Sequin Notebook sent me this beautiful personalized card in the mail. 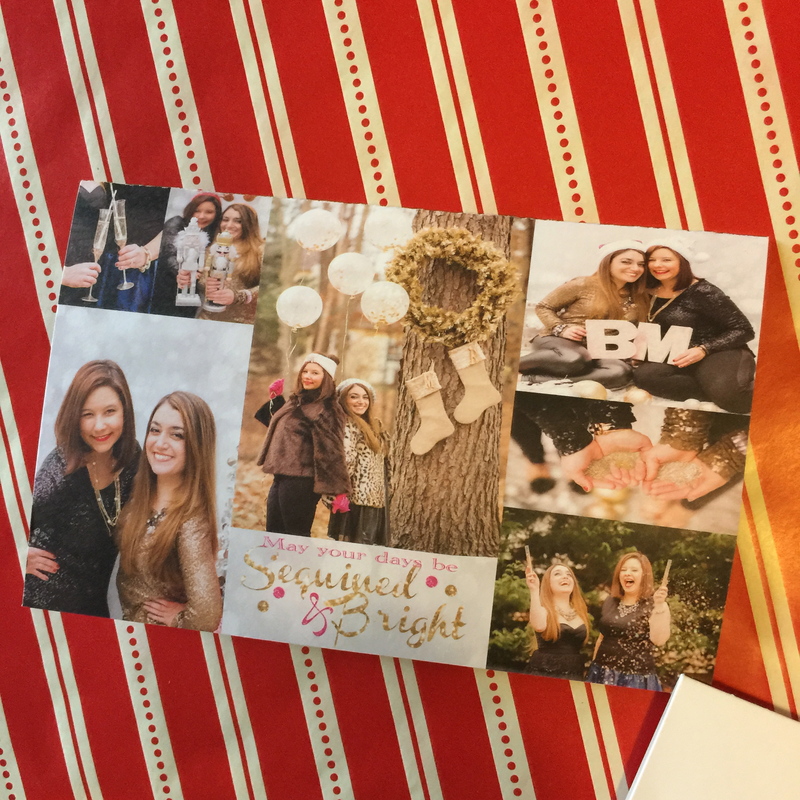 Check out The Sequin Notebook blog to see other tales of card swapping. I’m spending my spare moments adding holiday decorations and putting last minute touches on gift-making. Today, I am taking some more clothes, food and gifts to the church to donate for the Christmas party – every year on Christmas morning, we have a breakfast at the church so people from the community can have a place to eat breakfast and get clothes and gifts. And this evening is reserved for hot-chocolate sipping, gift wrapping and holiday-movie watching – I recorded a few titles from Hallmark channel and I’ll be keeping a box of Kleenex handy because I know they will be tearjerkers in a good way. It’s beginning to feel a lot like Christmas around here. It’s 2 days to Christmas. 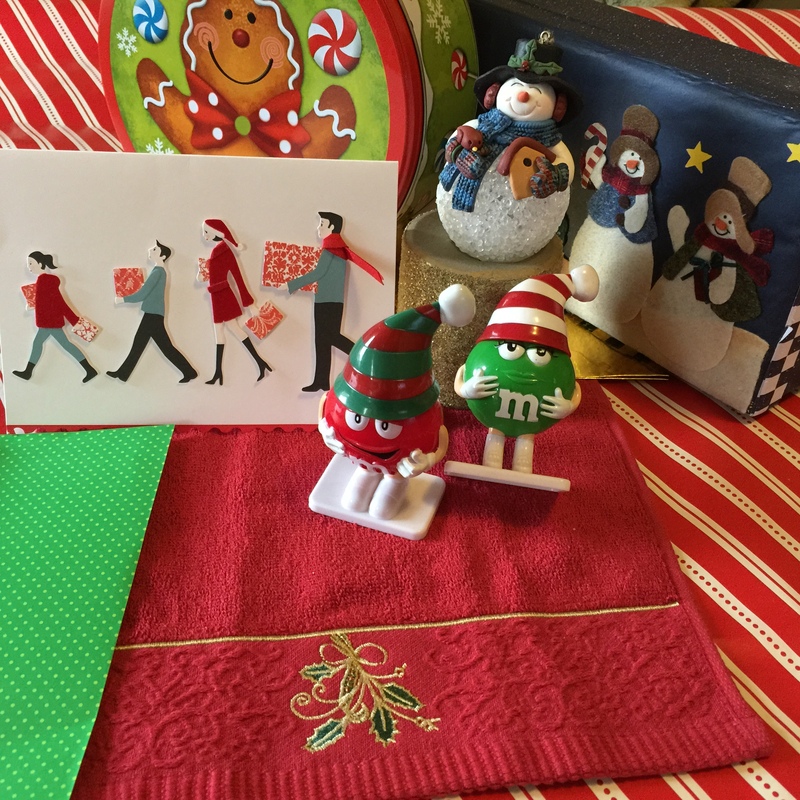 Has the holiday spirit found you yet? How are your preparations going? 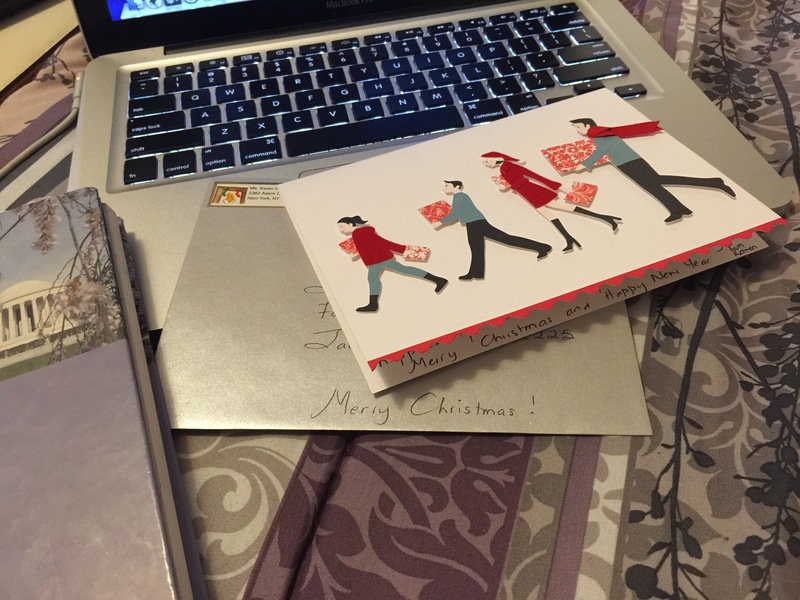 I’m so glad you made a new friend through our card swap – thank you so much for joining in the fun! Yay, so glad to have met you through the swap! 🙂 All of your Christmasy plans sound wonderful! I love the idea of shopping at midnight, so much less crazy and relaxing I’m sure! It really is better for shopping but not so good for staying awake during the daytime hours. 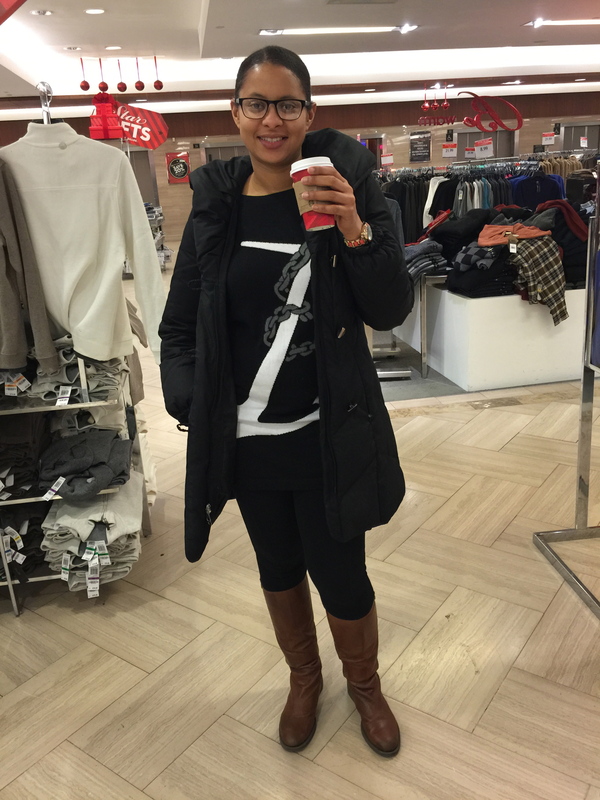 Shopping at midnight sounds like the perfect time to go! Unless you have to work the next day. But it does make for a different kind of shopping experience.